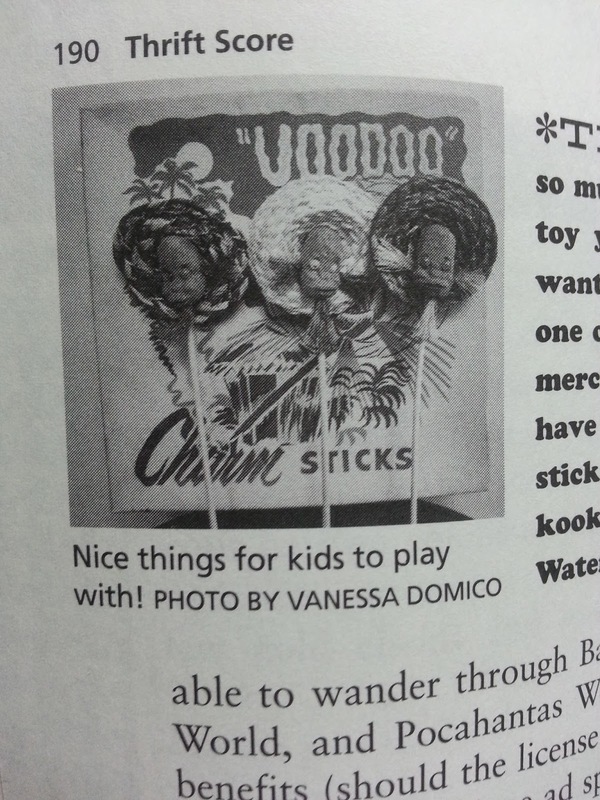 Have you ever heard of "Voodoo" Charm Sticks? I hadn't until a few years ago when I bought Al Hoff's "Thrift Score" book off Amazon. I'd heard of the zine yeaaaaars ago & the book was published awhile ago, but it's still a good read today! It tells you to check out the yellow pages for thrift stores - remember those? Anyways, enough about the book! What brings me here today are the Voodoo Charm Sticks. I periodically look them up on eBay & Etsy, never found them. A search in Google "voodoo charm sticks" reveals one result, an idea in the book stolen from Thrift Score! What are the odds that something seemingly as rare as Voodoo Charm Sticks would be in one book, found in a thrift store in the toy section... & appear later, in a novel where the characters find them in the toy section? How did I get back on the book? I have no idea! They just look interesting enough that I'd love to display them with another group of oddities. I have never seen one of these before. What are they exactly. I'm having a hard time with the picture (the coffee hasn't kicked in yet therefore I'm functionless). My sister-in-law runs a thriftshop that gets some strange things. I'll ask her to keep an eye out. They look like little sticks with voodoo doll looking heads, lol. & thanks - that's really cool about her job, too. A little envious. You might be qualified to get a free $1,000 Amazon Gift Card.